Betsafe – Rocktober Reloaded / Week 2! Keep rocking the reels for more rewards! Rock the slots for Free / Big Spins, Bonuses and Cash Prizes! 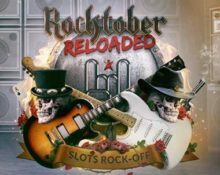 We are well into the second wee of the epic “Rocktober Reloaded” campaign at Betsade, featuring a daily Rocktober Quiz with 500,000 Free Spins to be given away, plus a weekly €5K Rocktober Tournament that doubles in the last week. Players can look forward to 50 Free Spins and 10 Super Spins, worth a massive €3.00, each as a daily reward for guessing the right slot and wagering on it. Plus, scoring the highest average win over a 20-spin sequence on the three Netent Rockslots will place them on the leader board for BIG Free Spins, bonuses and cash in the weekly tournament. All throughout October 2017. Up for a loud October with tons of rewards and thrilling tournaments? 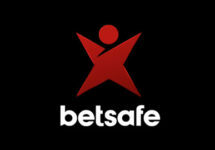 Then Betsafe is a must as they just launched their “Rocktober Reloaded” campaign. Just like last year, the month is filled with daily Free and Big Spins while weekly tournaments for the highest equalized win over 20 spins will see cash, bonuses and Free Spins going to the TOP25 scorers. Win Free Spins and SUPER Free Spins every day between 02nd – 29th October 2017 by playing on the Rock Slots: Jimi Hendrix™, Guns N’ Roses™, Motörhead™ and, for the first time, Megadeth. All players need to do is follow the instructions and boom! Free Spin Paradise. Both rewards can be earned once every day. Players, who do not know the answer, can wager the required amounts on multiple slots. Those who guessed the correct game will receive a inbox message once the Free Spins reward has been awarded. Wagering requirement is 35x FS / Super Spin winnings within three days, subject to the Betsafe bonus terms and conditions. Players registered or residing in Belgium, China, Ecuador, USA, Malaysia, Israel, Hong Kong, Nicaragua, Portugal, Panama, Romania, Ukraine and Canada, or who have Canadian dollar as their registered currency are not eligible to take part in this promotion. Win €1,000 cash, great bonuses or BIG Free Spins in the weekly €5,000 Rocktober Tournament, which will rock the boat even more in the last week when the prize pool will be doubled to a smashing €10,000. OPT-IN on the promotion page to take part in the equalized tournaments on selected slots where the ranking on the leader board is based on the highest average earnings over 20 consecutive spins at minimum €0.50 stake. Each weekly tournament runs from Monday to midnight on Sunday with prizes being credited by 18:00 CET each Monday. Bonus prizes need to be wagered 2x, BIG Free Spin winnings 35x within three days, subject to the Betsafe bonus terms and conditions. The TOP25 players will share the prize pool of €5,000 for each of the first 3 tournaments and €10,000 in the 4th tournament: 1st – €1,000 / €2,000 cash | 2nd – €600 / €1,200 bonus | 3rd – €500 / €1,000 bonus | 4th – €400 / €800 bonus | 5th – €350 / €700 bonus | 6th – €300 / €600 bonus | 7th & 8th – €250 / €500 bonus | 9th – €200 / €400 bonus | 10th – €150 / €300 bonus | 11th to 15th – €100 / €200 bonus | 16th to 25th – 50 BIG Free Spins on the tournament game, worth €1.00 each.